Halloween and Bonfire Night are both exciting nights for lots of people. However, it is important to remember simple home safety tips to avoid your house being targeted by unwanted attention. 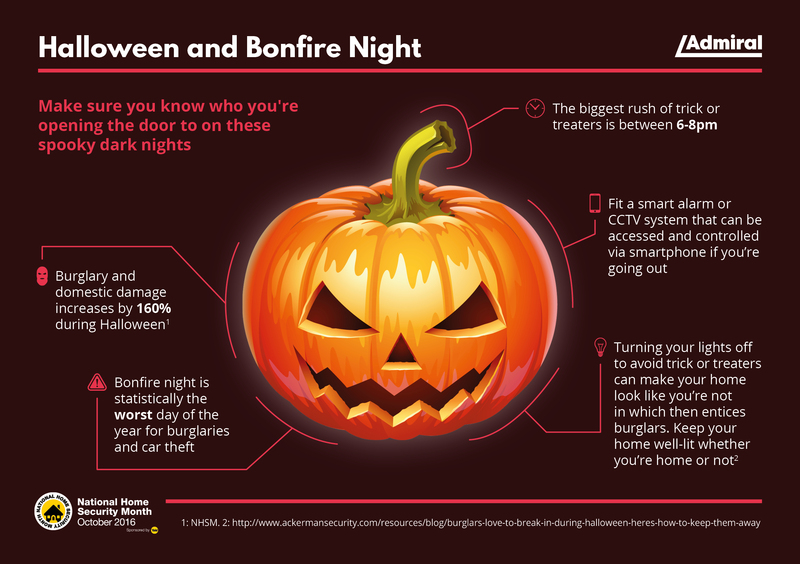 Make sure you know who you're opening the door to on these spooky scary nights and keep a light on even when you're not home. Below is our infographic with some facts and tips to keep you safe this spooky season!